Hello ladies. Welcome back to my blog this fine Friday!! Hope your week has been a good one, shew, it's been hot here in South Africa. Quite the opposite to what is happening on the other side of the world!! So, as my title would indicate our AnnaBelle Challenge for today is to create a card with Polka Dots, what a fun and easy challenge. 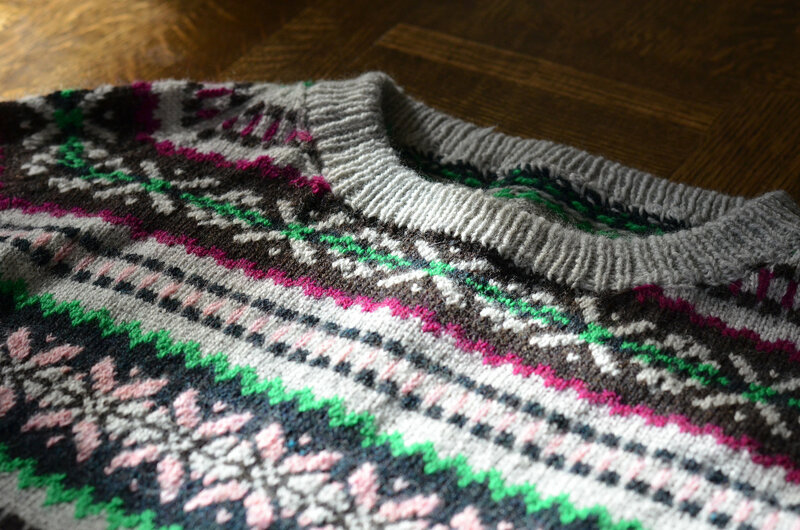 I know you ladies out there have loads of polka dot stuff in your stash. For my card I used two different sets. 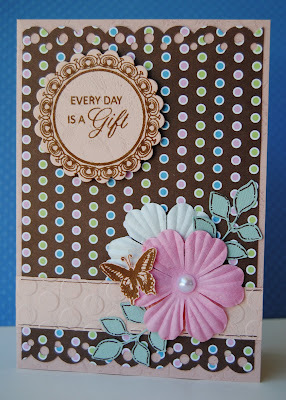 The "Every Day is a Gift" stamp is from one of my favourite and most used sets, SENTIMENTAL BLUEBELLS. 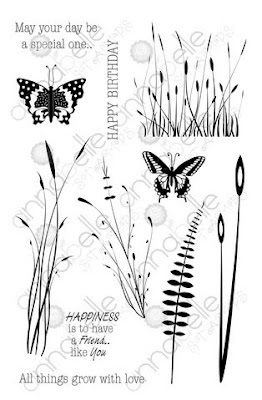 The adorable little butterfly stamp is from the ALL THINGS GROW set. Would you like to have a look at what's included in both of these wonderful sets?? So we would really love for you to play along!!!! 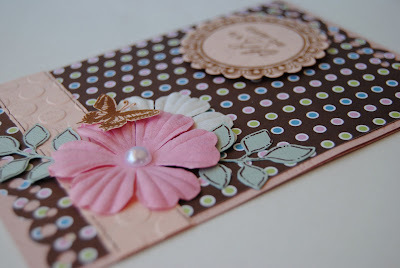 All you need to do is create a Polka Dot card, and link it to the AnnaBelle Blog. If you take part you stand a chance of winning a $20 gift card to spend at the AnnaBelle Shop!!! Speaking of the AnnaBelle Shop, do you know that AnnaBelle Stamps has a wonderful gallery full of inspiring cards for you to get ideas on how to use the different sets. It really is a wonderful place to visit. I urge you to go and have a look. Go HERE! Speaking of inspiration, the links to all the AnnaBelle DT girls are below. Go and check out their fabby Polka Dot creations!! So CUTE! I love the polka dots! Gorgeous card. I like how you combined the two stamp sets. Very pretty choice of DP. Rene this is fabulous. I love the polka dots, love the elegant sentiment and stamping. Great work with the polka dot challenge! Absolutely gorgeous Rene Wow. I love the charm too. Lovely card Rene'. GReat take on the challenge.....clever use of two sets too! I love this card! The polka dots are such a fantastic focal point on your card and your colours are lovely! I LOVE the way you place your flowers and leaves and with your butterfly, it's simply gorgeous! 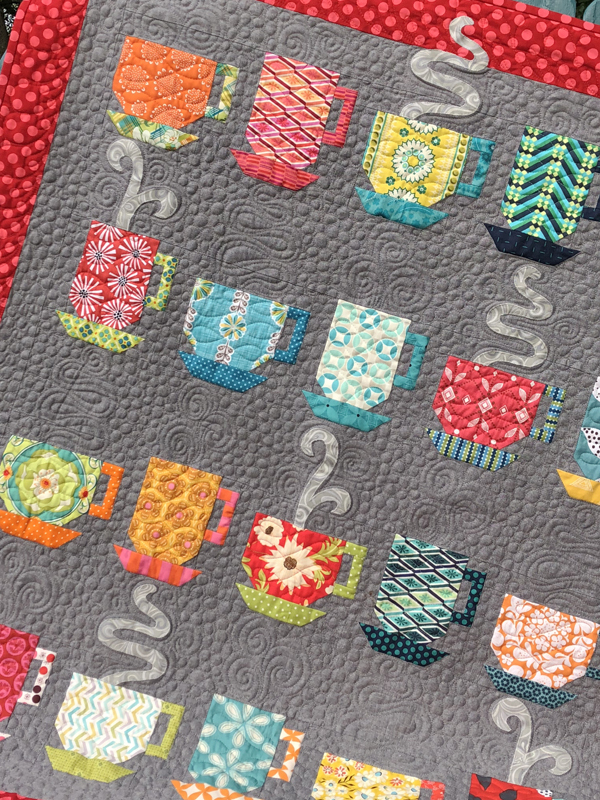 LOVING your colours and your card layout, love it! i love polka dots! !amazing job my dera friend!!! Popped over from SC...love your card and your blog in general! I love your card, especially the way you placed your flowers and leafs. Love the pen lines on your leafs also. What a great idea! Very cute card! And so true that "everyday is a gift" !